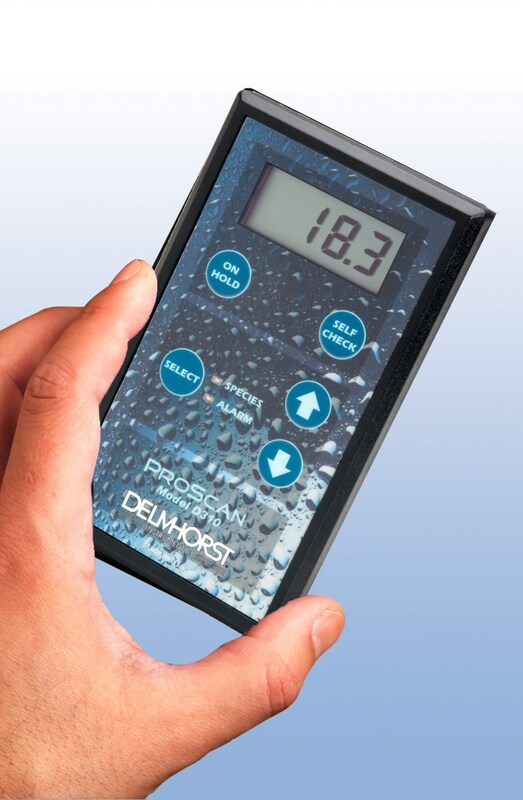 A non-destructive moisture meter is important when checking wooden products such as furniture, flooring, trim work etc. The new digital noninvasive moisture meter helps you to quickly scan large areas. With the built-in species correction capability through the adjustment of specific gravity to measure a wide range of wood types, you know the moisture content within seconds. Rugged sensor pad measures moisture up to 1.9cm (¾") deep without damaging the sample.